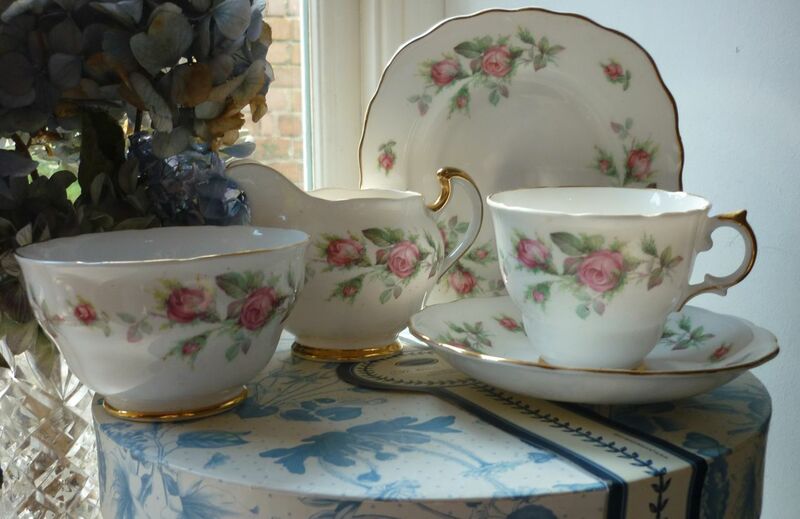 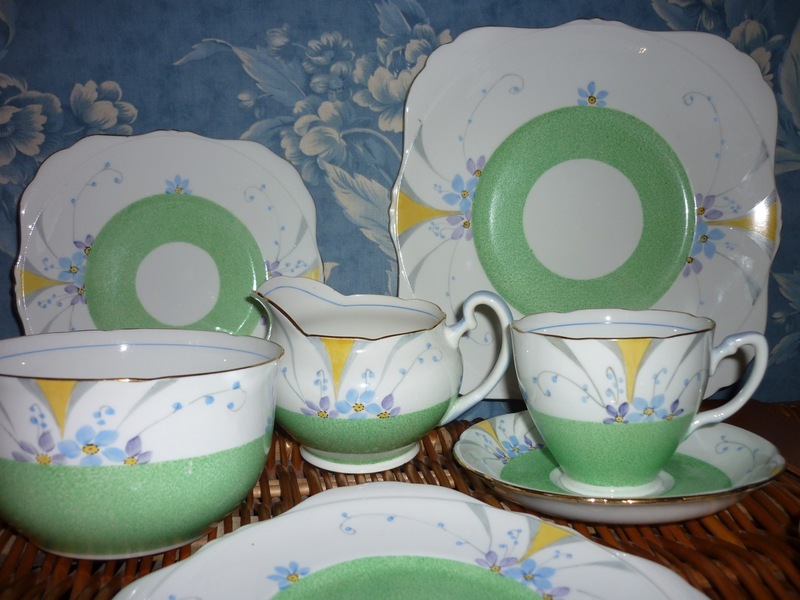 This gorgeous chic-style tea set likely dates from the art deco period. 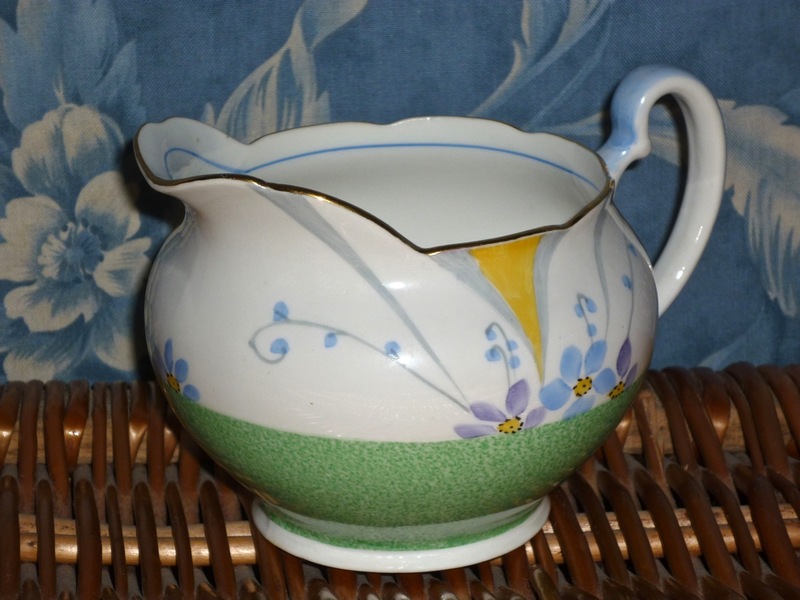 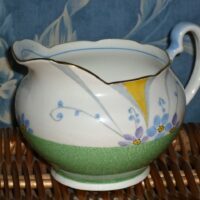 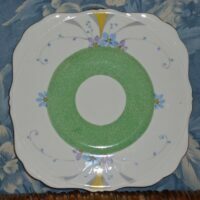 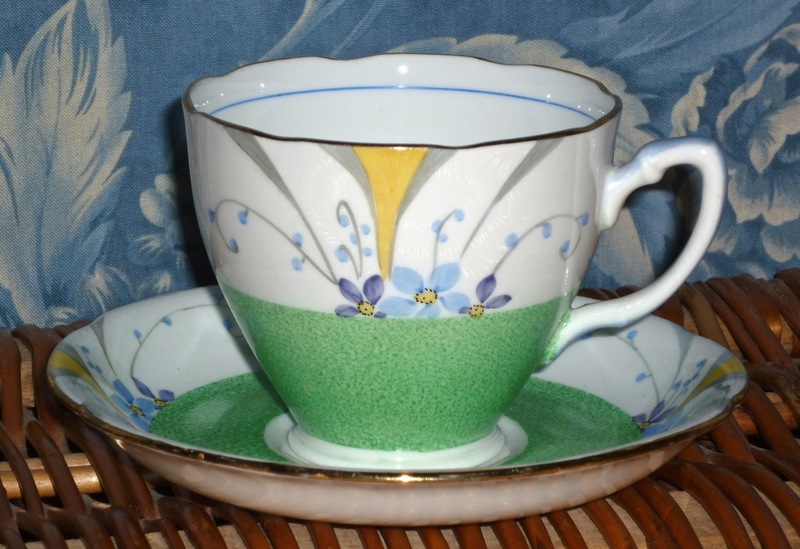 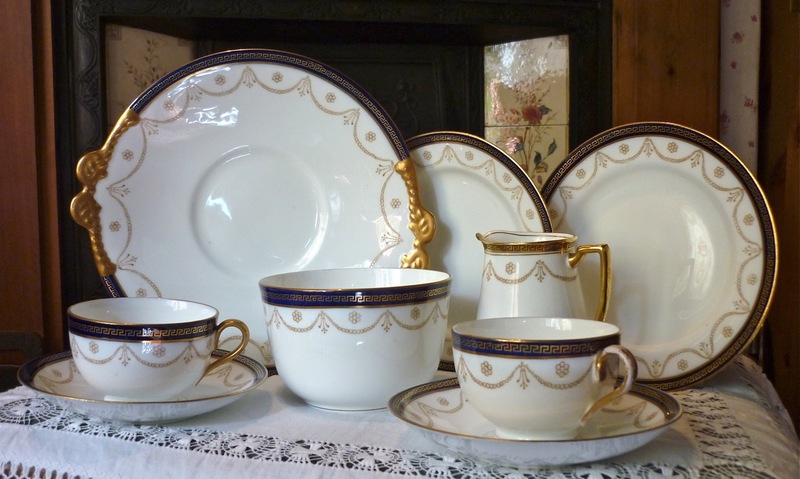 Although the style of this tea set is predominantly art deco, it could be considered slightly modern. 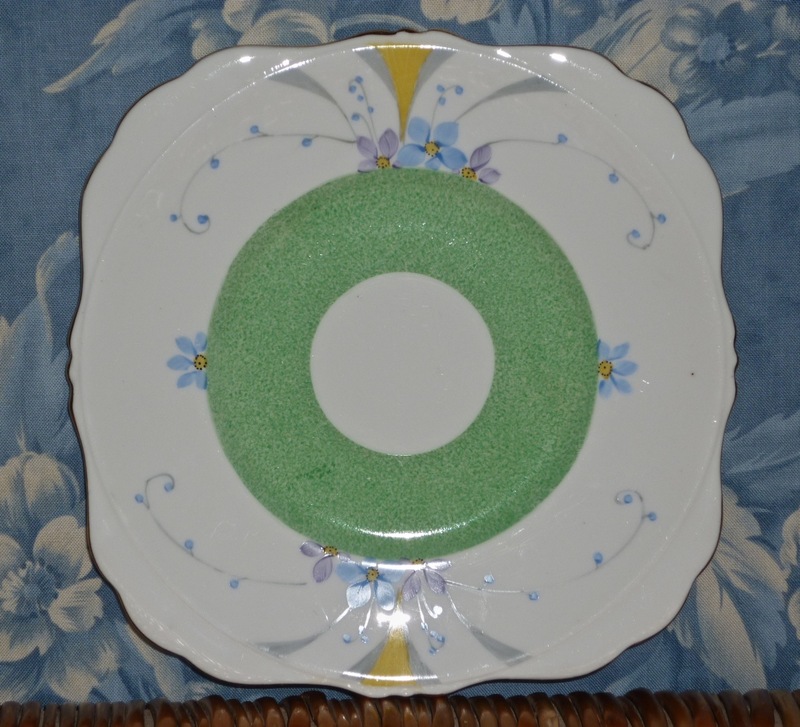 The octagonal shape of the plates emphasises the bold and solid style of the pieces. 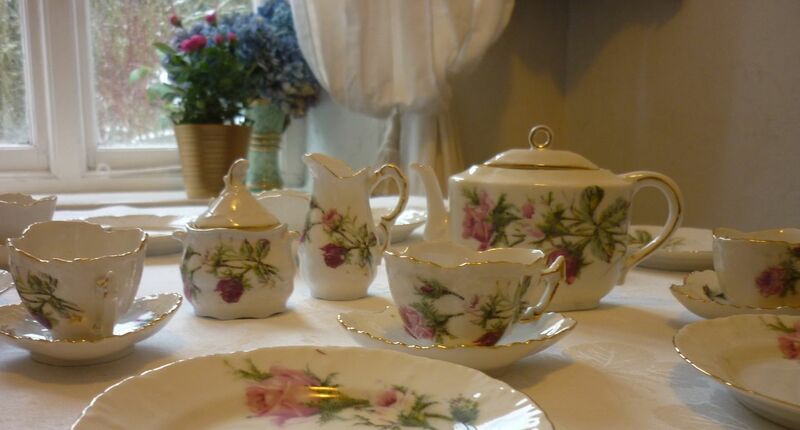 The colours also add to this effect, as the simple blocks of a single colour complement the chic and modern style of this vintage tea set. 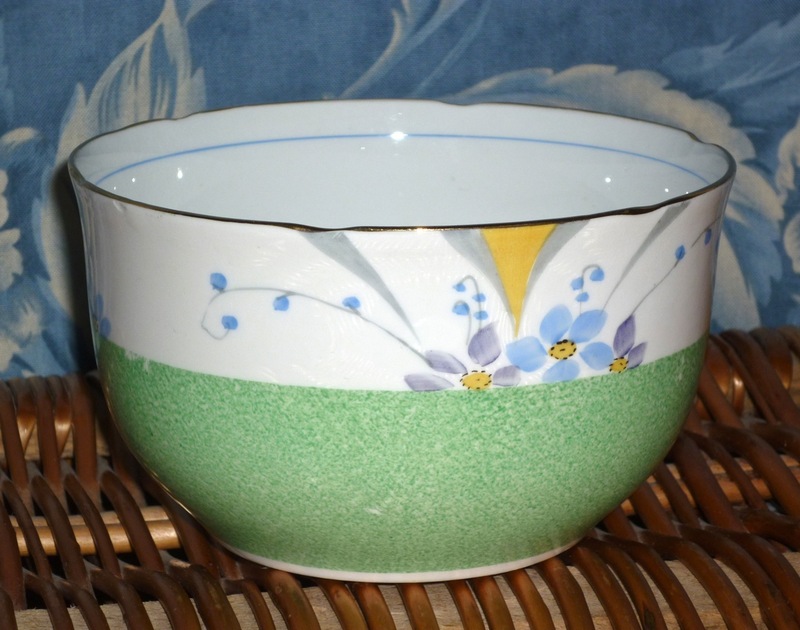 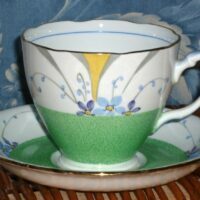 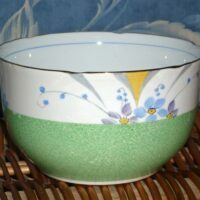 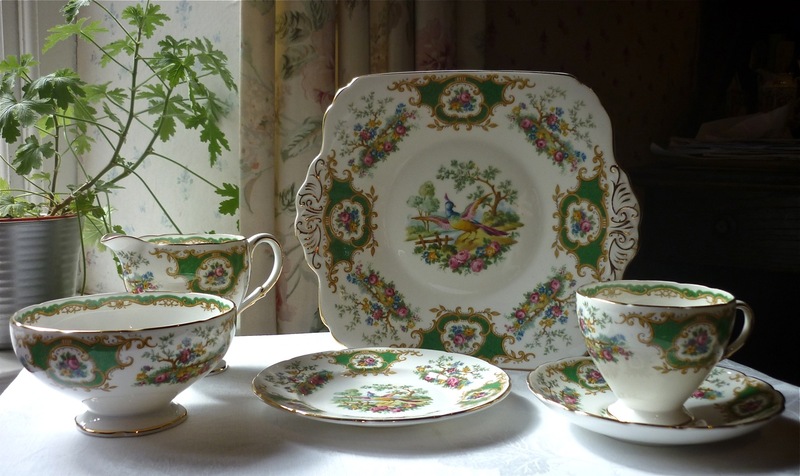 This tea set is perfect for a warm day in spring out in the garden, as the light colours of the pattern remind one of crocuses and other newly sprung flowers.